Most images that we receive fall into one of two categories: average photographs of a very interesting motorcycle, or beautiful photographs of a fairly common motorcycle. So when you happen across a photographer who is also a vintage bike nut, it’s a marriage made in heaven. 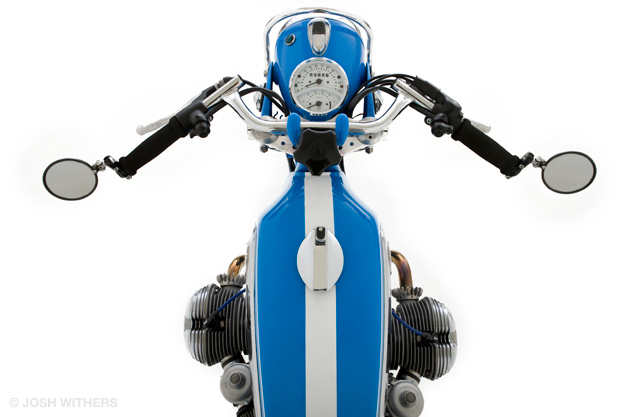 This exquisite customized R60/5 is owned by commercial photographer Josh Withers, and he’s shown off the bike to perfection. 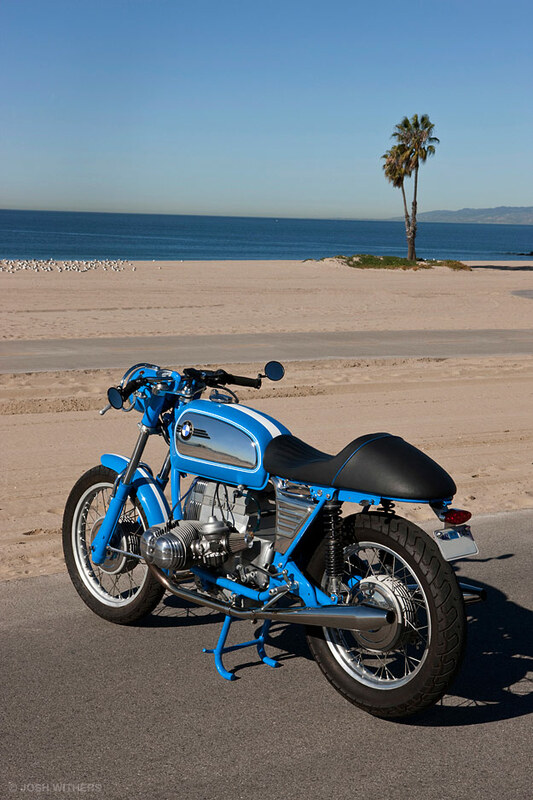 It helps to live near a Californian beach, I guess, but this machine would look equally gorgeous in the grungiest Atlantic City alleyway. 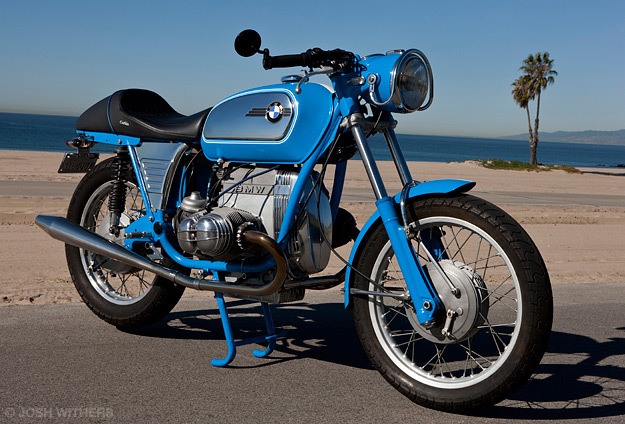 The Berlin-built R60/5 was in the middle of BMW’s ‘slash 5’ range—the others being the R50/5 and the R75/5—and had a 600cc air-cooled motor in the traditional boxer configuration. 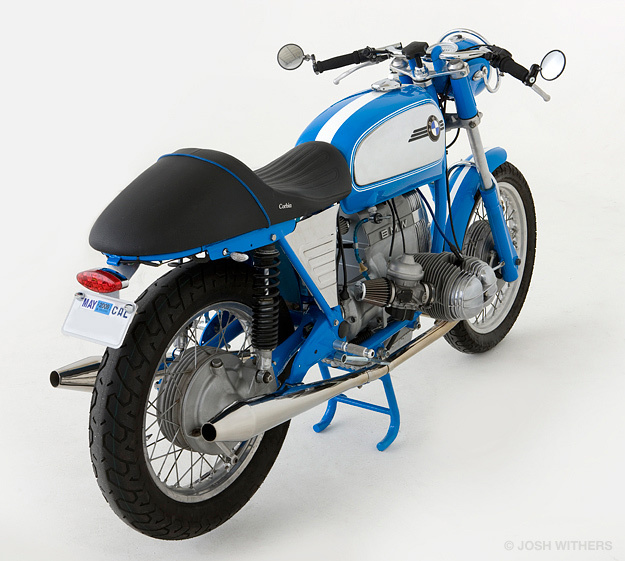 Josh’s machine is a 1973 ‘toaster’ tank model from the last year of production, and he paid just $500 for it. As with many bargain bikes, the problems soon started to mount up, and Josh ended up doing a bare-frame restoration. But the result was worth it, don’t you think?